This elegant Spring mix with seeded eucalyptus looks & smells wonderful. 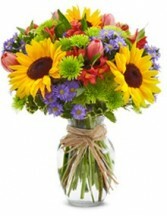 Sure to bring a smile & make her day. 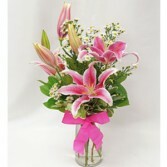 Chic and modern - just like mom! 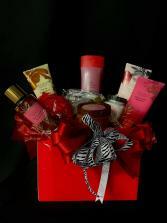 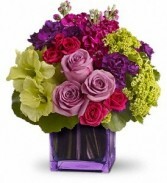 Make her Mother's Day sparkle with this shining celebration of your love. 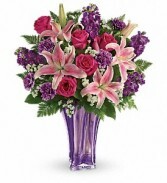 Gorgeous pink roses, white lilies and lavender statice look oh-so-lovely in this unique vase, resplendent in a metallic purple glaze with a band of sparkling rhinestones at its base. 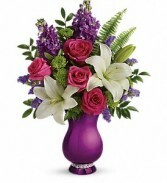 A similar purple vase may be substituted depending on availability. 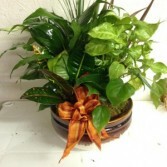 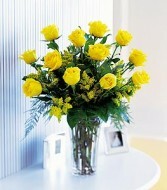 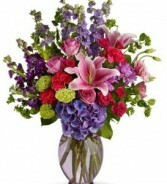 The same sparkling shine will trim a similar purple vase. 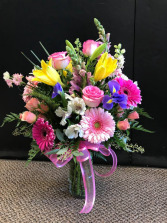 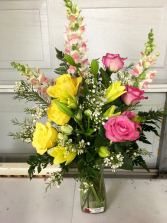 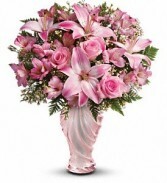 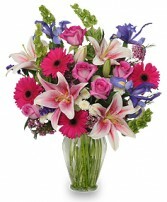 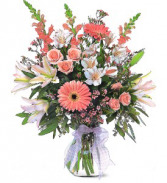 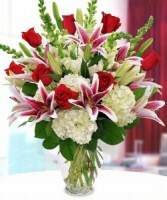 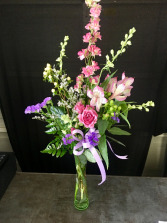 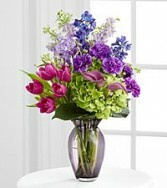 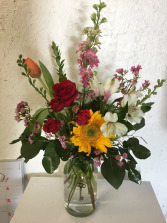 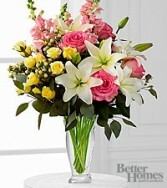 With bright Spring colorful flowers this is one of our fragrant high style designed bouquets. 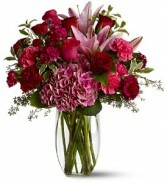 Send it to your special someone to certainly make a beautiful presentation. 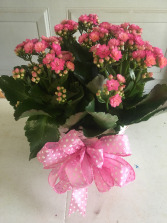 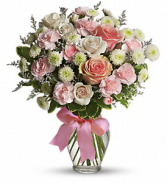 This beautiful bouquet is the perfect way to let Mom know just how special she is to you.